WebWorld: Registration, Grades, Payments, etc. Today, more than ever before, adaptability, innovation, and creativity are essential for success. Our focus is to prepare students for professional success in a dynamic global business environment. Life-long learning and the ability to analyze and critically evaluate problems and opportunities are central to our vision and mission. The Dillard College of Business is not only a degree-granting college, but one that plays a significant role in the economic development and vitality of our region. Dillard College has been AACSB accredited since April 2010. Students can select a major in the following disciplines: Accounting, Finance, Management, Marketing, Management Information Systems, Economics, or General Business. The Economics major has a new agribusiness concentration. 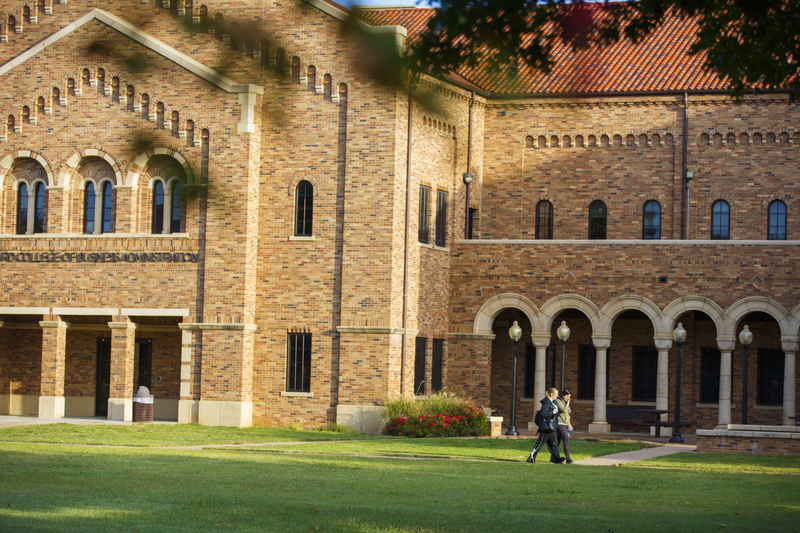 A new minor in Nonprofit Management is also available. The university enjoys an excellent student-faculty ratio of 20:1. Our small classes are designed to provide you with a small college environment at an affordable state university price. Faculty know their students and provide them with the personal attention that is made possible through small classes. We are excited about your interest in the Dillard College of Business Administration. We are committed to providing you with the support and resources necessary for you to effectively manage your own future! Please call or email us today so that we may provide you with the information you need to make an informed choice.